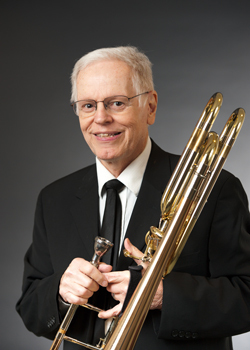 New Jersey Symphony Orchestra Bass Trombonist VINCENT BELFORD has been a member of the NJSO since 1970. He graduated from the Manhattan School of Music in 1965 and completed his master’s degree in 1970. He has performed with the Bolshoi, New York City, Joffrey, Stuttgart, Royal and Canadian Ballets, as well as the American Symphony Orchestra, Band Of America, Goldman Band, New York City Opera, Orchestra of Saint Luke and Metropolitan Opera. Prior to joining the NJSO, Belford was a member of the North Carolina and Mobile Symphony Orchestras. He has been a member of the Long Island Philharmonic and the Paper Mill Playhouse Orchestra, as well as a brass coach for the NJSO’s Greater Newark Youth Orchestra. Belford is a resident of Warren, New Jersey, where he teaches privately. An avid, prize-winning photographer, he has held several exhibits of his work. NJSO HISTORY: I’ve been bass trombonist of the NJSO since April 1970. I cover a lot of NJSO history from Henry Lewis through Jacques Lacombe. Prior to the NJSO, I played a couple of seasons with the North Carolina Symphony. 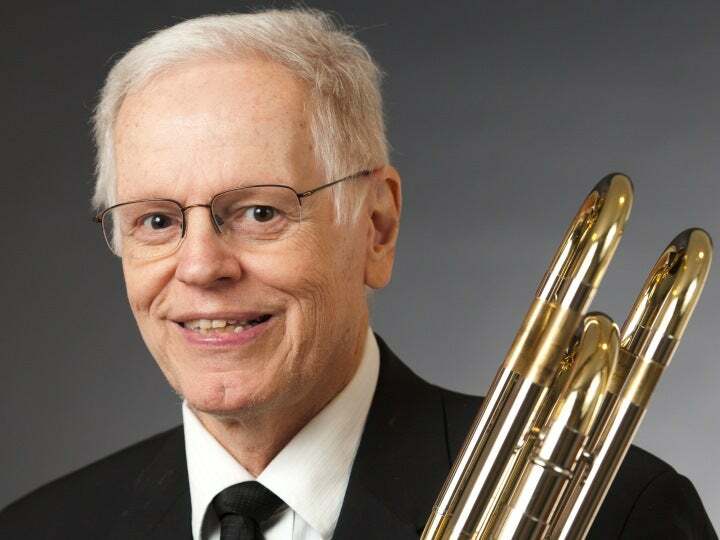 MUSIC STUDIES: My formal musical training includes a Master of Music degree from the Manhattan School of Music (MSM), where I studied trombone with the great John Clark, who was bass trombonist with Toscanini’s famous NBC Orchestra. I also studied with Ed Herman, principal trombone of the New York Philharmonic. FIRST OR BEST CONCERT YOU’VE EVER ATTENDED: The first and best concert I ever experienced was a high-school field trip to Carnegie Hall to hear a Friday matinee of the New York Philharmonic. I had never heard a professional orchestra before, and all my later brass heroes were in that concert—Bill Vacchiano (trumpet), Ed Herman (trombone), Jimmy Chambers (horn) and William Bell (tuba). On the program was a suite from On the Waterfront composed and conducted by Leonard Bernstein. I have never heard anything like it before or since, and I knew instantly this is what I wanted to do! Later, as a student at MSM, I got to know some of these guys, and they are still my brass heroes to this day. HOBBIES: When not playing with the NJSO, I’m shooting pictures—a lifelong pursuit—riding a bike or, lately, learning the guitar. POPULAR LISTENING: My non-symphonic musical tastes are a bit obscure—I love oldtimey finger-pickin’ guitar playing, from Lightnin’ Hopkins and Elizabeth Cotten to Stefan Grossman, Leo Kottke and Laurence Juber. Clapton and the biography of Steve Jobs. FAVORITE ICE CREAM: Just give me a quart of Breyers Van-Choc-Straw. FAVORITE DRINK: Single-malt Scotch whisky—in moderation of course! METS OR YANKEES? Neither! I like the Somerset Patriots, led by Sparky Lyle. Not unlike the NJSO for classical music, the Patriots are high-quality baseball a few miles away at an affordable price with a hundredth of the hassle of schlepping to New York. WHAT I LOVE MOST ABOUT NEW JERSEY: I love its diversity—from the mountains to the shore, city and country, and the ethnic mix of its people. ADVICE FOR YOUNG MUSICIANS: Keep your eye on the prize, which could be anything from playing in a top-of-the-line symphony or just a great garage band. Just focus on being the best you can be, wherever that takes you. GARAGE BAND: Speaking of garage bands, my friend—and fab trombonist—Gary Capetandes and I are putting together a truly bottom-of-the-line jazz band of keyboards and guitar. Fun is the operant word here!